Cutline: The daffodil is a symbol of hope against cancer. Prime Minister Justin Trudeau, joined by Health Minister Jane Philpott welcome cancer survivor Japji Bullar, 17 and Canadian Cancer Society President and CEO Lynne Hudson as the national health charity launches Daffodil Month. Visit cancer.ca/daffodil to learn more. 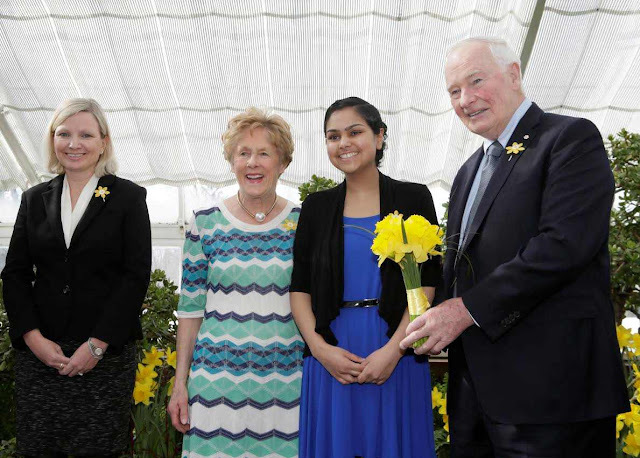 Cutline: Canadian Cancer Society President and CEO Lynne Hudson launches Daffodil Month with Their Excellencies the Right Honourable David Johnston, Governor General of Canada, and Mrs.
Sharon Johnston. 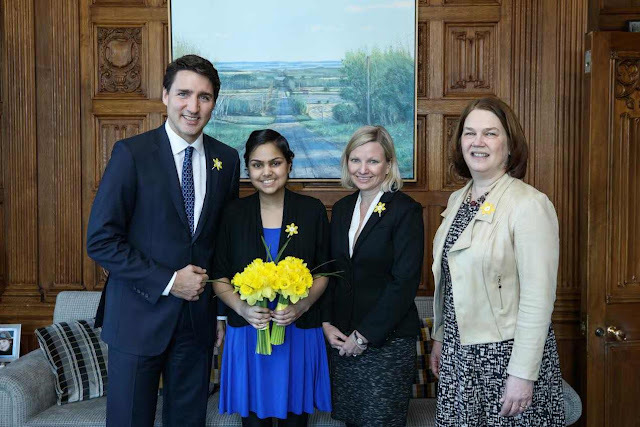 Japji Bhullar, 17, a leukemia survivor, presented the daffodil bouquet. 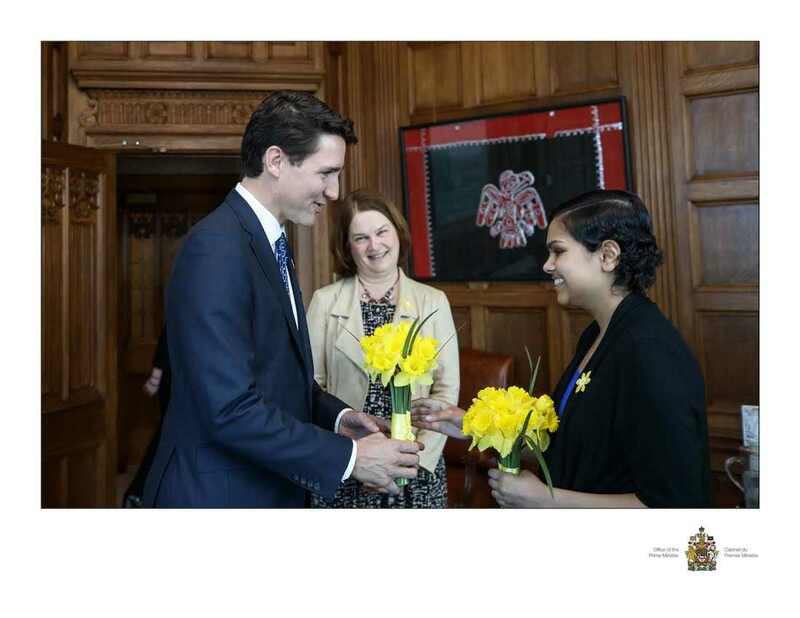 Visit cancer.ca/daffodil for more information.